Mosteller spoke to reporters after Okmulgee District Attorney Rob Barris filed a rare Motion to Disqualify, seeking to remove Okmulgee District Judge Ken Adair from all criminal cases in Okmulgee County. Barris alleges Adair could be biased against police officers because on four times in four years he found police testimony to be less than truthful. Barris’ filing did not dispute Adair’s findings in the four matters, but alleged other circumstances added to an appearance of bias, including comments Adiar made to another judge and to a police officer. Barris also alleged Adair’s visit to the scene of a traffic stop while a related case was pending in his court violated Oklahoma rules for judicial conduct. The Tulsa World reporter noted that the Oklahoma Court of Criminal Appeals has affirmed Adair’s ruling in one of the cases Burris cited, calling the arresting officer’s conduct “a flagrant abuse” of a defendant’s constitutional rights. On Aug. 9, 2017, Judge Adair stayed all criminal matters pending in his court until Dec, 13, 2017. His order said the stays were intended to put criminal cases on hold until the court resolves the Motion to Disqualify. Wirth Law Office attorneys and others representing clients in Okmulgee District Court are concerned the stay to resolve a district attorney’s motion could deprive defendants of a right to speedy trial. 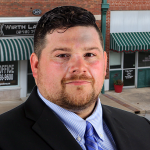 If you have a matter pending in Okmulgee County that is affected by the stay of criminal cases and need to talk to an Oklahoma criminal defense attorney, call Wirth Law Office at (918) 879-1681. You may also send your question using the form at the top of this page.